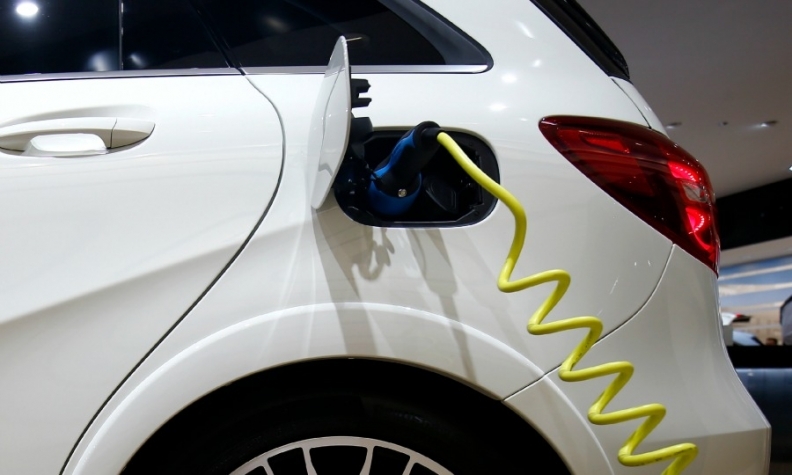 LONDON -- Electric cars will soon be cheaper to buy than conventional gasoline ones, offering immediate savings to drivers, new research shows. Automakers from Renault to Tesla have long touted the cheaper fuel and running costs of electric cars that helps to displace the higher upfront prices that drivers pay when they buy the zero-emission vehicles. "On an upfront basis, these things will start to get cheaper and people will start to adopt them more as price parity gets closer," said Colin McKerracher, analyst at the London-based researcher. "After that it gets even more compelling." Renault predicts total ownership costs of EVs will by the early 2020s equal conventional internal combustion engine vehicles, according to Gilles Normand, the French company's senior vice president for electric vehicles. "We have two curves," Normand said in an interview earlier this month in London. "One is EV technology cost reductions because there are more breakthroughs in the cost of technology and more volume, so the cost of EVs will go down. ICEs [are] going to go up as a result of more stringent regulations especially regarding to particulate regulations."